Happy cookie Friday cookie lovers ! 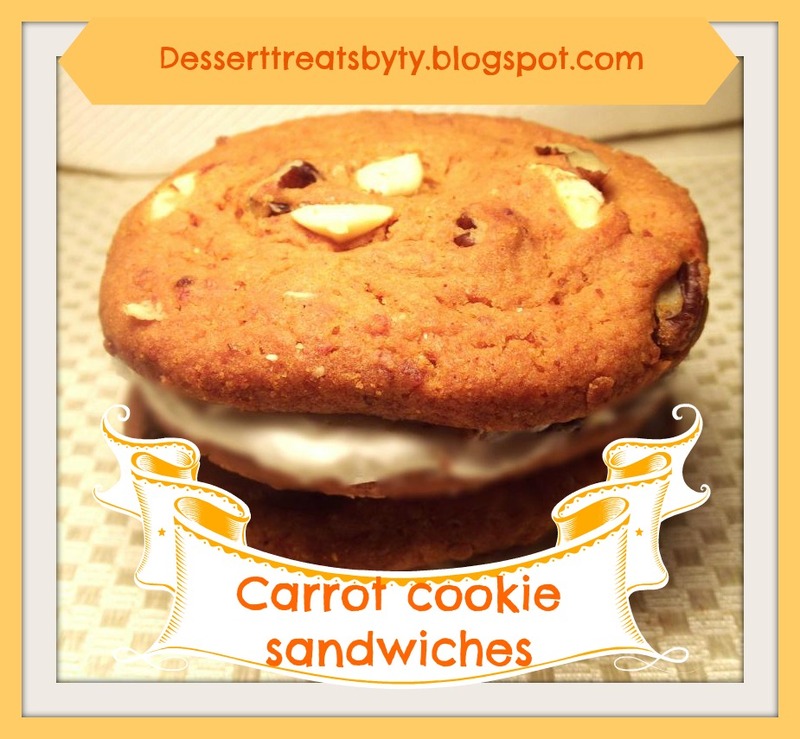 Today I what you try my carrot cake cookie sandwiches. It’s so delish ! Yummy cream cheese filling, walnuts and white chocolate chunks . Hope you enjoy it. 1. Preheat oven at 350. In a large bowl, whisk together flour, cinnamon, baking soda, and salt. 2.Cream together, butter, sugars and vanilla with mixer. Beat until fluffy, mix in carrots and flour mixture, on low speed until well combined. Add in walnuts and chips. 4.In a small bowl, while batter is chilling, blend together, cream cheese, powdered sugar and vanilla until smooth. And set aside. 5.Once batter is chilled, drop 1 1/2 tablespoons of batter on a lightly sprayed cookie sheet 2 inches apart and bake for 11- 17 mins or until golden brown. Take out and cool. 6.Take a spoonful of cream cheese filling and place on flat side of the cookie, place another cookie on top. Repeat and serve when ready.